Since forex trading companies often provide very similar software and selling conditions, they need to compete on other fields to win their customers’ attention. One of the possible angles they can use to take on the market is providing better customer service. To get to that high level of support, Tier1FX decided to use LiveChat. See their story and learn how you can start competing on the market by delivering better customer experience. Tier1FX is a STP forex broker created and led by a team of forex experts. Knowledge, transparency and expertise lay deep at the foundation of the company. 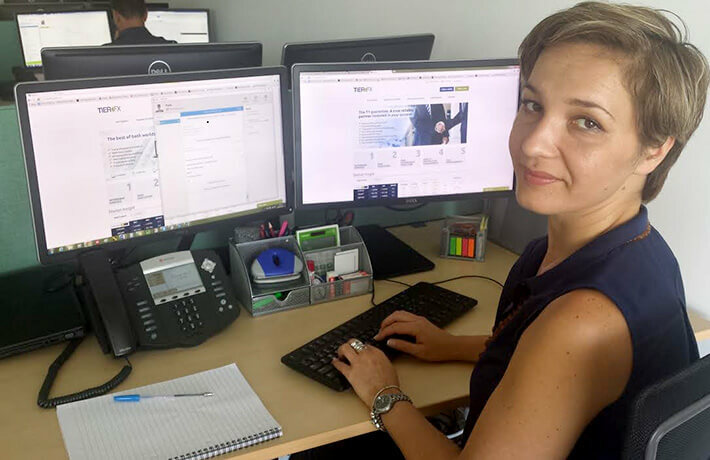 “We focus on delivering superior retail and institutional services while continuously improving our clients’ experience with the latest trading technology tools, tailored solutions for traders at all levels, the most competitive conditions and dedicated personalized support,” said Yana Marinova, Back Office & Support Manager at Tier1FX. According to Marinova, many brokers offer similar terms for their clients. With very similar or even the same conditions available, potential customers look to the added benefits the broker companies provide. Consequently, Tier1FX looks to make increased transparency, flexibility and personalized support their main selling points. “We believe that the field that would offer most value-added benefits for both broker and clients is improving client relations and value added services, which includes full transparency, flexibility and excellent personalized support,” Marinova said. Tier1FX’s live chat available on tier1fx.com is handled by 15 trained agents. To answer the need for contact of their international clients, Tier1FX offers chat in five languages. According to Marinova, customers appreciate the availability of LiveChat as it is “user friendly, easy to spot on the website (they never have to search for the live chat icon, as it used to happen with other solutions before).” She also added that customers “really appreciate the convenience of a live chat as a whole” as it provides “quicker and more interactive support than emails and eliminates the cost of phone calls.” Avoiding high tolls seems especially important for international traders. Tier1FX is a forex and STP trading company that puts a great deal of work into their customer service. Great support coupled with their deep knowledge of the forex market, they offer a solid platform for international customers. Developing strong parent-school relationships through quick live chat support. Over 100 agents help thousands of customers daily through LiveChat conversations.